Spring is almost here, and about time too! Tuesday 20 March sees the Spring Equinox and the ‘official’ arrival of spring in the UK. Theoretically, after that we’ll start to enjoy warmer days, leaves on the trees and bluer skies. That said, Colchester famously once had snow in June, causing a county cricket match to be called off, so I’m not making any promises! I can promise, however, that your new Recycling Calendars will be landing on your doorsteps this month. They’ll be delivered in the same envelope as your annual council tax statement, ready to be stuck on your fridge or corkboard for handy reference all year round. Residents living in flats with communal rubbish collections should continue to follow the process specified by their landlord. Last year’s calendars had a new look, featuring a useful quick guide to Green and Blue Weeks. This went down well, so the design team have kept the guide and revamped the look slightly so you can tell it apart from last year’s. You’ll be able to use it to check your collection dates, but also see which container different materials should go into. Digital versions of the new 2018/19 calendar will also available online from 1 April. 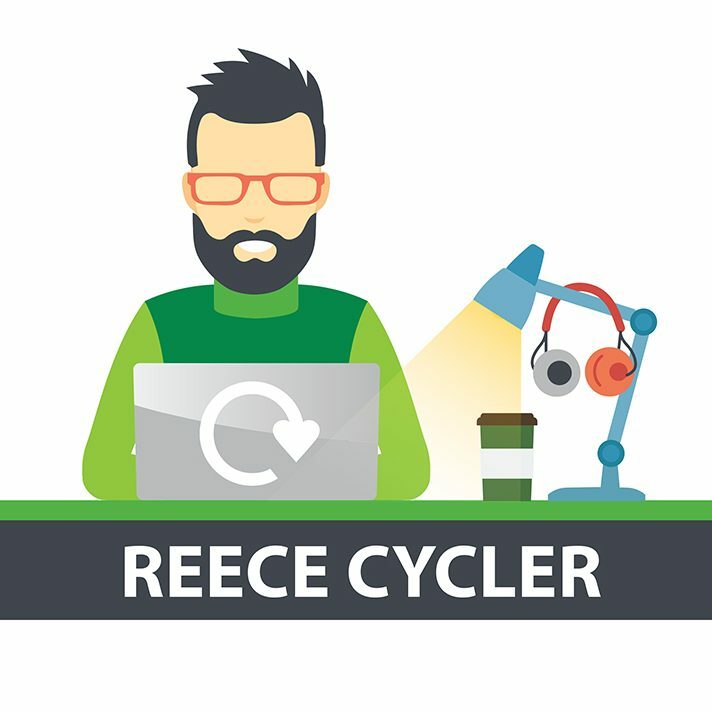 You can download a PDF document or audio calendar by entering your postcode at www.colchester.gov.uk/recycling. Last time I posted about new collection calendars, it was June 2017 and the new recycling system was just being introduced in Colchester. I’ve spoken to hundreds of people since then, answering all kinds of questions about recycling and waste, and I’m amazed at how much more of our rubbish we seem to be recycling. I was thrilled when we reported that Colchester sent 33% less stuff to landfill in July-November 2017 than it did in the same period of 2016. That’s the weight of 22 blue whales! That’s an amazing achievement in such a short time. Personally, I think it’s totally possible that one day our borough will recycle almost everything as technology develops and people become more and more aware of how important it is. So, 2017/18 was a pretty good year. Here’s to an equally green 2018/19! While you’re waiting for your calendar, check out the rest of my blog for plenty of tips for environmentally-friendly (and wallet-friendly) living, or leave me a comment with your recycling and waste questions. Last week was really full of ups and downs, but it all ended on a high! The snow has all melted now, but it was a real pest for lots of people across Colchester. I’m lucky enough to travel to work by foot, so I made it in every day after a slow and careful walk, but travelling by road in the heavy snow showers was a little bit risky even with the County Council’s gritters out. I’ve been answering lots of questions about the collection changes resulting from the severe weather and people have been really understanding – thank you all for your patience! If you haven’t heard, collections had to be suspended from Wednesday 28 February to Friday 2 March. It just wasn’t safe for our residents or staff to send big trucks out onto the icy streets with staff pulling heavy bins around them. The Council is prioritising the missed black (general waste) bins and bags because they’re the most urgent collection. If this week (beginning 5 March) is your Blue Week, there are no changes, but if it’s your Green Week, please put your black bin/bags out alongside your food waste, paper, plastic and textile recycling bags. Garden waste isn’t being collected this week because we’re concentrating on getting all the general waste first. It’s a bit of a pain, but as one lady said to me – at least everyone is safe. If you have a question about the missed collection, there is more information and an FAQ on the Council’s website, or you are welcome to comment with your query and I’ll do my best to help. After all the weather-based kerfuffle, the week ended with a little bit of very good news. This site has been shortlisted for ‘Best Blog’ in the Essex Digital Awards! I can’t believe it! I’m delighted that the judges think my blog is good enough to be listed. The winners will be announced on 3 May in a special ceremony, so fingers crossed! Not to launch into an Oscars acceptance speech (it’s only a shortlisting, after all), but I would genuinely like to thank all of you for reading, asking questions and hopefully finding some of my tips and advice helpful. To be an awards finalist is brilliant, but what I’d really like to do is make some difference to recycling in Colchester – to make it a bit easier for people to fit recycling into their lives and to have a positive effect on how we look after our beautiful environment. So really, this post is a big thank you – to the Essex Digital Awards for shortlisting me and to all of you for your patience, effort and willingness to help cut down on how much we waste. Did you watch Blue Planet II over the winter? I knew it was on, but I was so caught up with work and Christmas that I never watched it. It wasn’t until the final episode that I started to see it all over my Facebook and Twitter feeds. People who never usually post much about the environment were suddenly talking about the amazing creatures that live in the oceans, the clever techniques used to film them and, most of all, the enormous damage that humans are wreaking on them through our rubbish, especially plastic. Well, obviously that caught my attention and last weekend, I finally got a chance to watch the last episode. It’s very powerful – you can see a clip about the impact of plastic on albatrosses on the BBC website. In some parts of the ocean, there are over half a million pieces of plastic for every square kilometre! That perfectly sums up something I’m always telling people. So often I hear people saying “There’s so much waste, the stuff I recycle is just a drop in the ocean” – but actually, what we do as individuals is tremendously important to our planet. The more plastic we each recycle, the less needs to be made. When you recycle plastics at the kerbside in Colchester, they’re processed in the UK or Europe (none goes to China) and turned into new products, helping to protect our environment. The average UK household produces an entire tonne of waste each year. You have the power to make a big difference! Sounds like a massive responsibility… but actually, cutting down on plastic is really easy! Because of my relentless nagging, we’ve always recycled a lot in my house, but since hearing about the plastic problems in the ocean we’ve made some more little changes. Now we use (and waste) less than ever! If everyone reading this uses less plastic, all our little drops in the ocean could add up to a sea of change! Tell your friends and family and help Colchester to do better.